Awful movies are a sort of shared hobby between my husband and I, so it's only natural that we are an EDF household. Shooting down massive waves of bugs and a host of more menacing creatures is hard to say no to when the overall package is so welcoming and easy to hop in and out of. 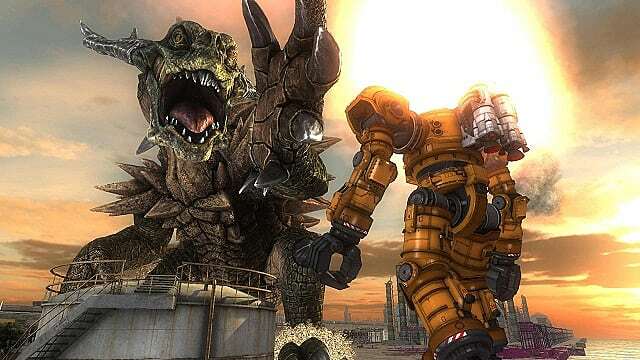 Since Earth Defense Force 2025 on the PlayStation 3, the EDF series has become one of our go-to titles when we sit down for our nightly gaming sessions. Before I got my hands on Earth Defense Force 5, we'd just rotate between Risk of Rain and EDF 4.1 on the PlayStation 4. Until we make it and push through some of Inferno mode, it's all EDF 5 for now. This newest addition to the franchise is an arcade-style shooter with both hands in the crazy jar. 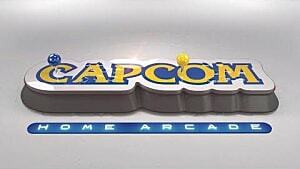 It takes you back to the first alien invasion and pits you against forces the EDF was never trained to fight. You've got the signature giant insects with giant frogs with guns, UFOs, huge robots and mechanical war machines, and a ton of surprises in store that I just don't feel right spoiling. 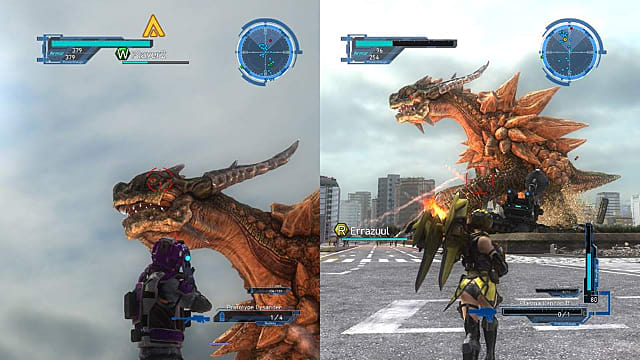 Enemies from previous titles make their way into this entry, but there are plenty of unique aliens and monsters here to shock and confuse newcomers and keep veteran EDF soldiers interested. Have I mentioned this game has 1,000 weapons yet? Yes, one thousand weapons that you can use these across four classes. The versatile Ranger, a ground troop with a huge variety of weapon capabilities. The Wing Diver, an elite female soldier specializing in aerial combat and plasma weapons. The Air Raider, a support troop with a wealth of multiplayer-oriented weaponry and gadgets. Last but not least is the Fencer, which trades easy mobility for its own brand of alien destruction, requiring practice and a steel will. Each class can equip a set number of weapons and support items at a time. Rangers get two weapons and one support equip, Wing Divers get the same number. Air Raiders get three weapons and have a dedicated vehicle slot. Fencers can equip four weapons simultaneously and have two slots for support equipment. The support equipment slots are new to the series and add a great deal of variety to your loadout. Though each class is locked to its own weapons, that's still 1,000 weapons spread across just four classes. The caveat here is that some weapons are prototypes, or lesser versions of the more powerful ones you get later in the game or at higher difficulties. Logically, this makes the variety only a little less impressive than it seems. 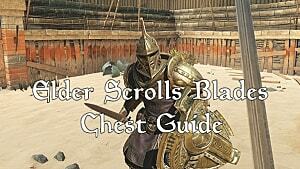 Nonetheless, there are a huge number of customization combinations for each class. 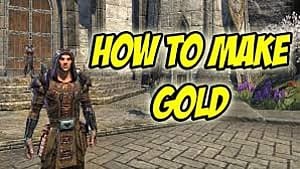 It's very easy for a player to find a class that suits their playstyle and then spend a great deal of time trying out different weapon loadouts to find what works best for certain types of stages. If you're not new to the series, it's worth noting that the classes have seen some changes from 4.1. Rangers now have innate access to some vehicles, which used to be Air Raider-exclusive. Air Raiders now have fewer vehicles to choose from, but more versatility overall. The Wing Diver weapon array has changed quite a bit, with the new style focusing on charging weapons before firing. Though there are some Wing Diver weapons that do not require charging, such as the classic Rapier and a handful of others, most of the best do. 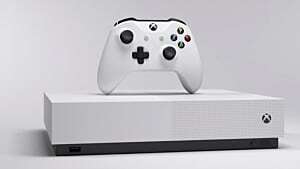 Getting used to charging takes time, but once you get the hang of it and get some better support gear that allows for faster energy replenishment, you'll be running out of energy much less often than in previous games. It does take a while to get used to, however. I'm not sure how the Fencer has changed since I pretty much just stick to Wing Diver with a side of Air Raider. So, it's a shooter where you shoot a whole bunch of aliens, right? Right. 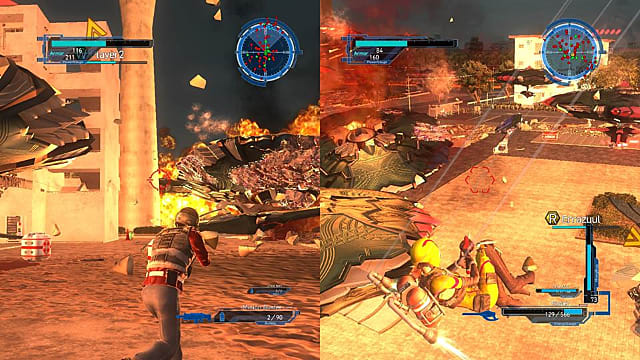 Between its 110 offline stages, Earth Defense Force 5 challenges players to learn to survive and kill kill kill the alien menace. Decidedly more difficult than Earth Defense Force 4.1, the new enemies, A.I., and class changes are all balanced around giving you a hard time. Swarms of those rambling giant frogs (I hate them so much) will pincer you and make you rethink your strategy; those red UFOs will make you exit a mission and change up your entire weapon loadout out of frustration; and the kaiju (giant monster) fights later in the game might make you poop yourself. It's a struggle, I tell ya. While you may get frustrated, your fellow A.I. EDF soldiers will continue to put on a brave face and crack jokes. Throughout the entire game, you're being fed cheesy lines from both your superiors over radio and the soldiers nearby. Story dialogue is stilted and perfectly suited to the overall C-grade movie feel, which sets the tone perfectly for this sort of game. You're not really meant to take it seriously and the game is perfectly happy to remind you of that with every piece of story dialogue. I also really enjoy the news broadcast jingle, it's an unexpectedly cheerful highlight that gives me a little chuckle. Your comrades on the ground are also pretty talkative, more so than ever before. Listening to them bring up their regular problems or crack jokes about the situation keeps things lighter in tone and makes you feel like you're in a unit. They'll also sing with you if you start belting out the EDF theme via the emote menu -- which is great, but I'm tired of my husband spamming it. Keep that in mind if you want to piss off your co-op partner. 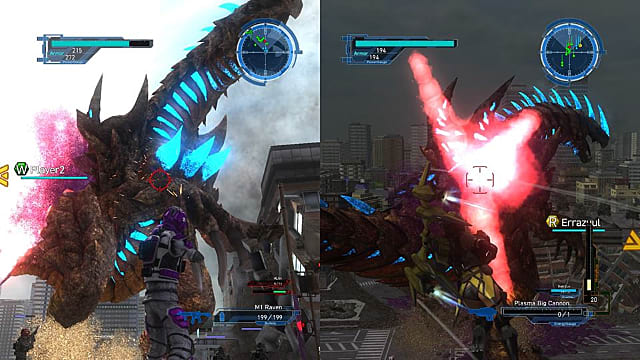 Speaking of co-op, Earth Defense Force 5 can be played entirely in local splitscreen or online if you so choose. You can choose to play alone, but the game is more fun and easier to handle if you play with someone else. You're not only grinding up aliens and giant insects in EDF 5, you're also grinding for weapons and armor. Enemies drop weapons, armor, or health upon death. Accumulating armor (HP) and bulking up your weapons array is the game's primary progression outside of clearing missions. You really want to pick up those green and red boxes. 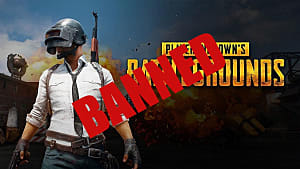 One change from the previous games is how loot works in multiplayer. 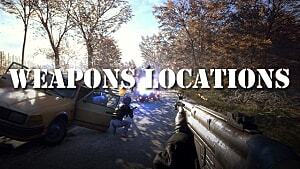 Previously, if a player picked up a weapon, it would always be a weapon their class could use. However, the weapons you pick up now will be split between each class, with a much heavier emphasis on weapons for the classes used in a mission. So if you're playing co-op with Ranger and Wing Diver and your Ranger picks up all the weapons, you'll still get weapons for both classes and probably two or three for Fencer and Air Raider as well. The new loot system does take away the one competitive aspect of multiplayer, which I'm not going to complain about. Now there's no more arguing over who's picked up more weapon boxes -- that's saved me an argument or five already, believe me. Unlike 4.1, you do have to clear a mission in a particular difficulty before the next one unlocks. You can skip Easy mode, but you must do a mission in Normal before Hard unlocks, and you must complete a mission on Hard to play it on Inferno. Inferno mode is where things get cranked up to 12, rather than the game's usual 11. As the default endgame, Inferno mode grants powerful weapons you wouldn't be able to get on lower difficulties while throwing challenges at you far beyond what Hard mode provides. Getting to this mode and being able to do it for more than a mission or two requires a significant grind for armor and weapons in Hard mode. As with other EDF games, this means choosing missions ideal for farming limitless enemies for drops. You don't actually have to do any of this, though. 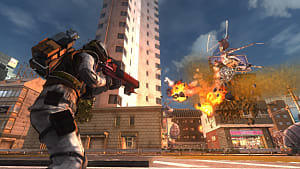 As there are 110 missions to play through offline, Earth Defense Force 5 is long enough as it is; it will take a few dozen hours to clear all of the missions on Normal mode. Most players will tackle Hard mode on some missions for drops, but Inferno is probably beyond what most people are willing or able to put up with. It takes a long time, and it's not an easy journey to get there. This is an EDF game, okay. There's going to be slowdown. 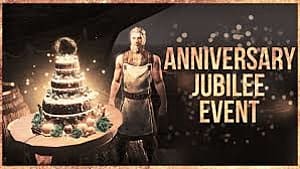 Since the game likes to throw dozens upon dozens of enemies at you at a time -- not to mention the absolute giant enemies that come to be regulars later in the game -- there is plenty of slowdown in many segments of the game. There's a ton of stuff going on, far more than you see at a time in most other titles. Graphically, it looks a bit better than its predecessors. Aliens and monsters spew multicolored blood all over the environment, and they show signs of wear after being shot at but not killed. I really like how rain looks in some stages as well. The game is not all that special graphically, but the improved performance over 4.1 is a huge boon. There is significantly less slowdown than 4.1 even in times of great chaos, though there's no stopping the chugging once you've got a dozen explosions going off in your immediate vicinity. 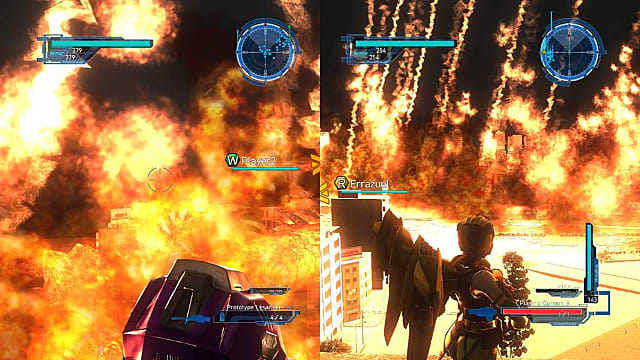 Enemy limbs can be blown off as well, which is a first for the Earth Defense Force series. You don't notice it much with the giant insects, but you definitely do with larger enemies like the frog aliens. It is satisfying. Earth Defense Force 5 is easily one of the best co-op games on the PlayStation 4, without a doubt. The sheer amount of customization, playtime, and fun to be had in EDF 5 is undeniable. If you want a co-op game on the PlayStation 4 you can just sit down and play for a mission or two or 15 at a time, you could do a lot worse than Earth Defense Force 5. Heck, if you just want a hectic straightforward shooter with a ton of customization to play on your own, this is still a good bet. Though some gamers may prefer a more serious shooter or narrative-centric title, that's not what this series strives for or should be. Here you are an EDF recruit rising to a hero, doing whatever it takes to stomp out the alien menace before it eradicates mankind. It just so happens, "whatever it takes" translates to 110 missions of "pew pew pew"ing, and that's totally fine. Once you've played Earth Defense Force 5, there is no going back. Make sure to turn off Camera Effects in the Options menu, though. Earth Defense Force 5 doesn't shake things up, but it presents a fun and highly customizable arcade shooter perfect for co-op play. Earth Defense Force 5 Is Out Next Week -- EDF! EDF!